Producer Jonathan Chik (戚其义) touched upon cannibalism in When Heaven Burns <天与地>, which was hailed as an exceptional drama. It was understood that upcoming series, Psychological Warfare <心战>, which was produced by Jonathan Chik and written by Zhou Xuming (周旭明), touched upon even more controversial topics. Portraying a serial killer in Psychological Warfare, Moses Chan (陳豪) will chop up his victims and cook them, while slowly savoring the taste of their flesh. This tendency was reminiscent of cannibalistic serial killer, Anthony Hopkin’s role in Hollywood movie, Silence of the Lambs. When Heaven Burns has already come to an end, however the drama’s unconventional approach made the series still savored by the audience. In particular, the dialogue in When Heaven Burns, was full of metaphors which was praised as being excellent. The series was regarded as an extraordinary masterpiece. Adam Cheng (鄭少秋) will portray a neurotic theater master. Twenty-five years ago, Adam was mistaken for a rich man, which lead to his daughter becoming a kidnapping target. The kidnappers threatened to kill his daughter. Since the corpse was never located, Adam believed that his daughter was still alive. 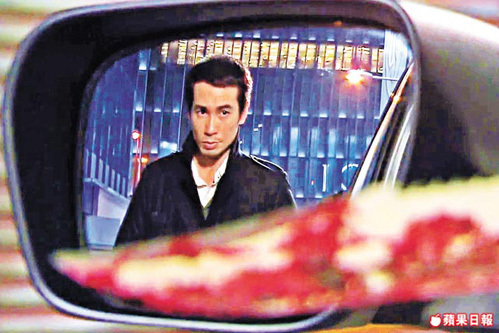 Due to fate, Adam’s analytical and interpretative skills assisted the police in tracking down serial killer, Moses Chan, thus launching a gripping battle of wits. Psychological Warfare stars Adam Cheng, Moses Chan, Kenny Wong ( 黃德斌), Maggie Shiu (邵美琪), and Aimee Chan (陳茵媺). The drama filmed from September 2010 to January 2011. At the sales presentation earlier, a video clip of Psychological Warfare was shown, which featured many scenes of bloody murdered victims and Moses cutting off the head of one of his murdered victims, wrapping the head in a plastic bag and throwing it into a garbage room. Although the broadcast date of Psychological Warfare has not been decided yet, Jonathan Chik and Zhou Xuming’s series, 4 in Love, which features Charmaine Sheh (佘诗曼) and Moses Chan, will be airing on January 30th. Allegedly, Psychological Warfare will be broadcast in mid 2012. Asked about the extreme nature of Psychological Warfare, Adam Cheng said, “I do not remember. Perhaps the extreme scenes did not involved me and featured Moses Chan instead. I am not too clear on the matter.” Asked whether he hoped that Pyschological Warfare will be broadcast sooner, Adam said, “Of course after filming a series, you hope to see it aired quickly.” Moses Chan could not be reached for comment. In addition, Jonathan Chik and Zhou Xuming’s new series, War and Beauty 2 <金枝慾孽 2>, will start filming in February 2012. 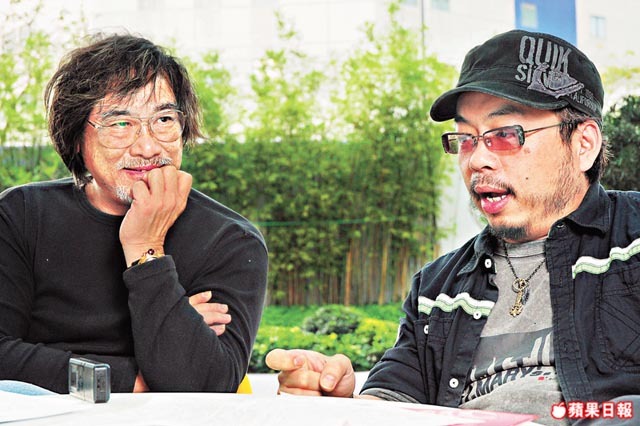 However, the duo allegedly possessed intentions to leave TVB after the completion of War and Beauty 2. Jayne: Psychological Warfare sounds tense and gripping. Wonder how Moses will portray the role of a serial killer. I am looking forward to this one, to see how the subject matter will be treated. I suspect Moses will portray this character like he portrays all his other characters. Look, he is no great actor drama wise. I do not have high hopes of Anthony Hopkins in him. “I do not have high hopes of Anthony Hopkins in him.” – lol I like the humour. Wow i can just see the complaints tvb is gonna get after airing this drama! When heaven burns only had one cannibalism scene which wasnt very long and has already gotten so many complaints. Imagine this one a serial killer eating people. Im definitely watching this since its completely different to other tvb dramas. Anyone know what Aimees role is? I like idea of serial killers very much, however don’t TVB have any other capable artist? Makes me wonder why TVB always use the Moses, Kenny, Maggie, Bowie and Charmaine in various combinations. Can’t they get that the audience gets bored seeing them together over and over again? Almost any other artist excluding newbies would’ve been better than this cast in my opinion. Yes I’m also tired of Chik Kei Yi always using the same group of actors. But since he’s leaving TVB I guess that doesn’t matter anymore :/ Everyone seems to be leaving TVB. I wonder if TVB will ever have a big comeback. But while I’m not a teenager, I agree as well. I hope Aimee Chan does not ruin the series, y her? She’s a horrible actress! I don’t see Moses as a great actor either but I have to give the man credit. I admire him for trying hard. So while I don’t have great expectations, I am interested in watching for sake of the plot. And for the sake of seeing Maggie Siu. i will watch ‘cos of Maggie Siu. good concept. hope they put heart into putting this together instead of a sloppy job. I am definately looking forward to watch ts movie, sound so exciting and different frm the rest. Very fresh. Aimee’s probably in it cos of Moses. moses and aimee started b’cos of this show… isnt it? not really interested. Why now aday ppl like to film this kind of psychotic movie/drama. I don’t think it’s good for youngster to watch this kind of psychology movie. Read somewhere that teenager their mind is extreme vulnerable, if they have weak mental, it is during that age it will breakdown. So, not really interested, plus got aimee chan, even make it less interesting..
Chik kei Yi love to make extreme series that’s different than normal TV series. Teens already play enough bloody games with guns and stabbing and blood and gore, nothing more a TV series can do. Anyway, TVB tends to be tamer than US anyway. I am glad that TVB is gradually leaving his safety zone of warm fuzzy family-orientated drama. Psychotic serial killer scenes can be handled tastefully without being over-the-top graphic and violent. I think this is a good chance for Moses to flex his acting skills. And good to see Adam back at TVB! Have been waiting forever for him to a TVB series! Umm, did u see that snooker king series? Sorry but I can’t stand Adam and aimee. I don’t think I’ll be following this series. I’m surprised that TVB will go ahead and air this; despite the vague praises within the article, I had the notion that WHB did not receive good ratings or audience approval in HK. I personally like the idea of new, edgier topics showing up in TVB series, as some of the older concepts are showing their age. However, it doesn’t seem as if the large si lai population in HK feel the same, and they are the ones vocally sending in complaints. So… I would be surprised if TVB doesn’t eventually bow to their demands. Reminds me of this one psycho Jeffrey Dahmer who did all that and more. Uh. Definietly excited. Um.. Not sure how the canninballism scene is going to work out, but ah. Looking forward to it, and really attracting .